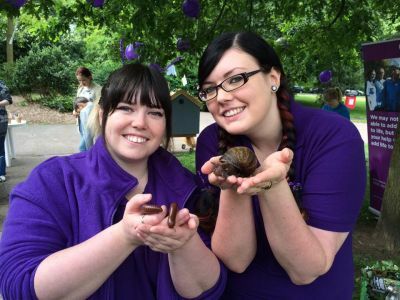 Teaching Talons (The Animal Ambassadors) Ltd. can bring our animal team to your school for an unforgettable learning experience in the comfort of the classroom! Why not save expensive mini bus hire, hours of planning and risk assessments by letting our team do the hard work for you! 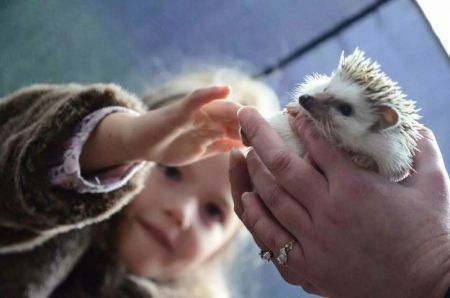 We get each child up close to all the animals and you can also choose to add a hands on element for children over 5 at no extra cost, enabling the pupils to touch and even hold some of the animals. 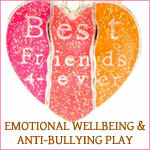 We class ourselves as 'Edutainment', letting children learn in an engaging and memorable way! 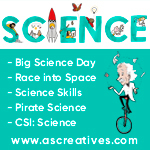 We cater for all ages and topics! 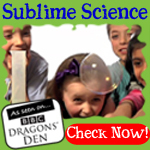 Teaching Talons provide educational animal encounters at a variety of events and locations. We are 5 star rated on Facebook, having never received a bad review and priding ourselves on high animal welfare standards. 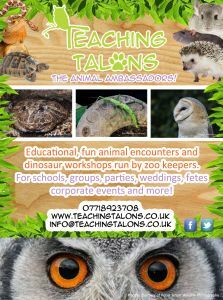 With our fantastic collection of friendly, exotic and companion animals, Teaching Talons can attend a whole variety of occasions including- but not limited to- schools, birthday parties, care homes, private or public events, clubs and more to add that special something! 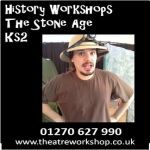 If you have a child who is animal mad, if you are a teacher looking for an inspiring presentation or workshop, or you’re looking for an unusual, educational, attention grabbing feature for your event or party- we may be just what you’re looking for!